Anastasia Climan is a registered dietitian and active member of the Academy of Nutrition and Dietetics. Her experience includes managing a medical nutrition grant for HIV, developing menus for local preschools and coaching clients on nutrition through her business, The Princess Prescription. Her numerous articles have appeared on Jillian Michaels and other health sites. Why Can't I Motivate Myself to Lose Weight? Healthy weight loss means losing weight gradually by changing your lifestyle. Diet and exercise are the perfect combination for reducing calories and cutting body fat. It's possible to lose weight with diet or exercise alone, but it will take more time and willpower. Losing weight "fast" is generally not a good idea because it's easier to gain it back. Weigh the pros and cons of diet and exercise to decide where to invest your energy. A good goal for weight loss is to either reduce your intake or burn off a total of 500 extra calories per day. One pound of fat equals 3,500 calories. 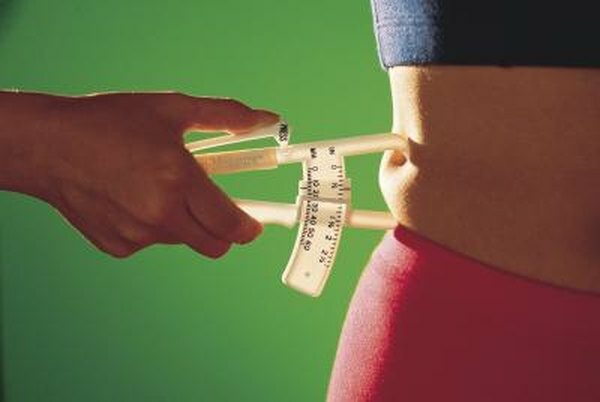 Having a 500-calorie deficit seven days per week will most likely result in 1 pound of fat lost. Over time, this can add up to substantial weight loss. Whether you focus more on exercising or eating less to achieve this calorie deficit should depend on what you enjoy more and think you can stick with. If you absolutely hate exercise, it might be unrealistic to plan to make it a big part of your life. Choose a strategy you think will work best for you. Some diets, particularly those that restrict carbohydrates, can cause an initial water loss. You may lose up to 5 pounds in the first week of a low-carb diet, but much of this is water weight. Ultimately, fat loss comes down to calories. The Mayo Clinic recommends consuming fiber as part of your weight-management plan. Fiber travels through your digest tract intact, promoting regularity and helping you feel satisfied on fewer calories. High-fiber foods include whole fruits and vegetables, beans and whole-grain cereals. Also, avoid calories from drinks, such as soda, and choose water for weight loss. Exercise can have a huge impact on weight loss, but not necessarily in the first week or so. It is common to notice no weight changes or even gain a pound or two when beginning an exercise program. This is because your body may hold onto water to produce glycogen, a storage form of energy used for exercise. If you burn 500 calories per day from exercise alone, you will start to lose body fat even if your diet remains the same. To burn 500 calories, try playing one hour of basketball, jumping rope for a half hour or swimming laps for one hour. Exercising in the morning can help raise your metabolism and keep the calorie-burning effect even hours later. It is your decision how you want to approach weight loss. There are pros to a healthy diet and regular exercise that extend beyond just losing weight, such as improved overall health and lowering your risk for certain diseases. Losing weight is not easy, and whichever method you choose will take patience and hard work. Keeping a diary of your exercise and eating can help you stay accountable for your habits and work toward long-term success. Consider making small changes to both what you eat and how much you move for the best results and optimal health.